Power Rangers: Battle for the Grid pits iconic faces from multiple eras of the popular franchise against each other in a tag-team spectacular that’s coming soon to PS4. To reveal more about the game, we sat down with Steve Kuroki, VP of Creative at nWay, to discuss its mechanics, roster announcements and more. What is Power Rangers: Battle for the Grid? Power Rangers: Battle for the Grid is a brand new console fighting game featuring the Power Ranger heroes and villains where players fight head to head in online and offline battle modes. The game uses traditional fighting game inputs that players are familiar with. Players create a team of three warriors of varying play styles and roles to battle their friends or other players online. How is this game different than other fighting games out there? First, this is the only Power Rangers fighting game on the PS4. We have given each character’s animation a lot of TLC to make sure they stay authentic to the source material — details that the biggest Power Rangers fans will care about. This will also make the game not only fun to play, but also fun to watch. Also, we are adopting an online-first model. This means that we want the game to feel alive and have longevity. We plan to do this by regularly rolling out new content — new characters and new stories — as well as host special events, missions, and online tournaments. We just celebrated the 25th anniversary of Power Rangers — what characters do you plan on featuring in the game? We have shown Tommy, Jason, Gia and Lord Drakkon thus far. We plan to announce other fan favourite characters in the roster as we get closer to launch, so stay tuned! What type of battle mechanics can we expect to see implemented in Power Rangers: BFTG? The controls are similar to a traditional fighter — something like a Dragon Ball FighterZ or Marvel vs. Capcom series, so you can expect battle mechanics in the team-based fighting genre. What was the development process like? What engine is the game built on? We use Unity. We have a lot of experienced developers with a fighting game background on our team, so we can do a lot of fast development, get it into the hands of the designers and playtesters, and iterate on combat very quickly. We’ve also brought onboard Justin Wong to consult and help tune our game. With Justin’s experience as one of the most decorated fighting game pros, he’s helping us make sure this game stands on par with the other top competitive fighting games out there. What game modes will be available at launch? At launch, the game will feature online Ranked and Casual matches as well as a brand-new story written by the makers of the Shattered Grid Power Rangers comic series. This is an original story for the game. We will have more to share about the story later, as I know the Power Rangers fans would want to know. Are there plans to add any DLC to the game? If so, what kind of content will be available? Absolutely! We have 25 years of Power Rangers history to tap into and every fan has a different favorite Ranger, so we want to keep adding more and more warriors to the roster. We really want this game to have a long life, so in addition to new warriors, we also want to add new stories to play in the arcade mode. When can fans expect to get their hands on this game? Power Rangers: Battle for the Grid will be coming this Spring. 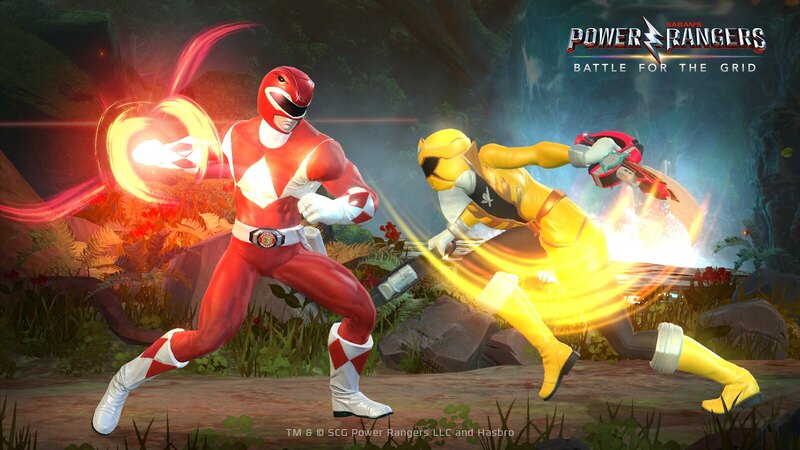 The post Power Rangers: Battle for the Grid brings tag-team battles, fan-favourite fighters to PS4 appeared first on PlayStation.Blog.Europe.